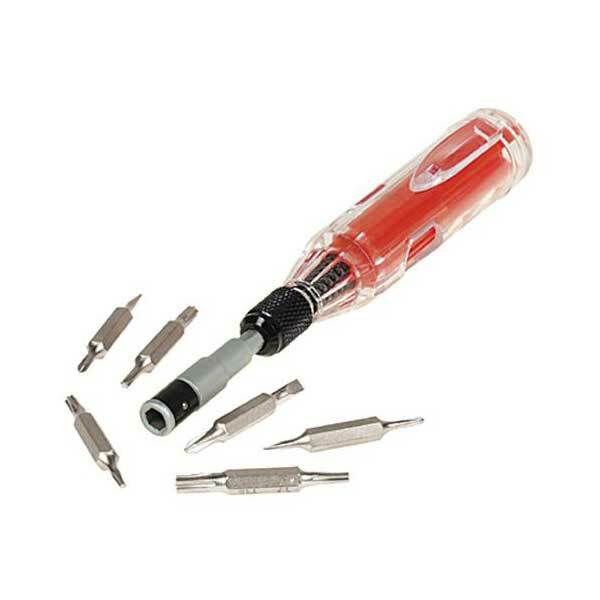 The shaft of this precision screwdriver can be extended an extra 2-1/4 inches to access hard-to-reach mini fasteners. Includes six double-ended bits in 12 mini tip sizes: Phillips 000, 00, 0; Slotted 1.5, 2.0 and 2.5mm; Torx nos. 4, 6, 7, 8, 10, 15. Bits are stored in the dispenser-type handle. Overall length when retracted: 5-1/2 inches. Color may vary.